Culinary Arts is a broad-based program. 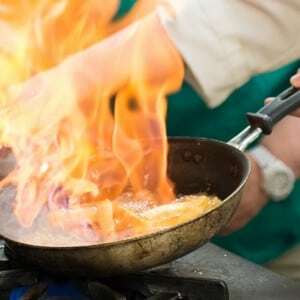 Having a reputation for preparing and serving fine food is an asset to any establishment, whether it is a fine-dining restaurant or a college dining hall. If you want to explore culinary career options, this is the program for you. The typical student is one that enjoys hands-on learning and has solid applied math skills to be successful. There is a significant emphasis on measurement, conversions, and cost calculation at the beginning of the first-year program. 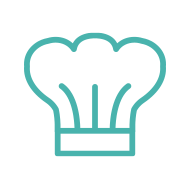 These skills are emphasized and expanded through the second year of the program and are necessary for further training and a career in the culinary industry. Successful students have the creativity, patience, and attention to detail to solve problems using the skills they have learned. They can work on projects independently or with other students. They understand time management as it relates to the back and front of house operations and can stay on task without constant supervision. Safety is a primary focus, and students must follow procedures to keep themselves and customers safe. Good communication skills are necessary to work well with other students and with customers.